Coming Soon, New Book Release ~ Christian author Rashad Gibson releases, The Deception of Eloquence, a much-needed read for today’s Church and the seasons to come. Speaking on such topics as signs and wonders mentioned in the Gospels and the highly controversial protest of what some call “Cessationism” within the Church. Examining Old and New Testaments, with keen insight, author and ardent student of the Bible, Rashad Gibson, brings to light the truth of the Scriptures that will challenge your thinking in regards to signs, wonders, healing and deliverance. The author also sheds light on doctrinal error and apostasy within the Church in regards to beliefs, false teachings, signs and wonders, bringing clarity and increased faith that presents truth that the signs and wonders are for today. 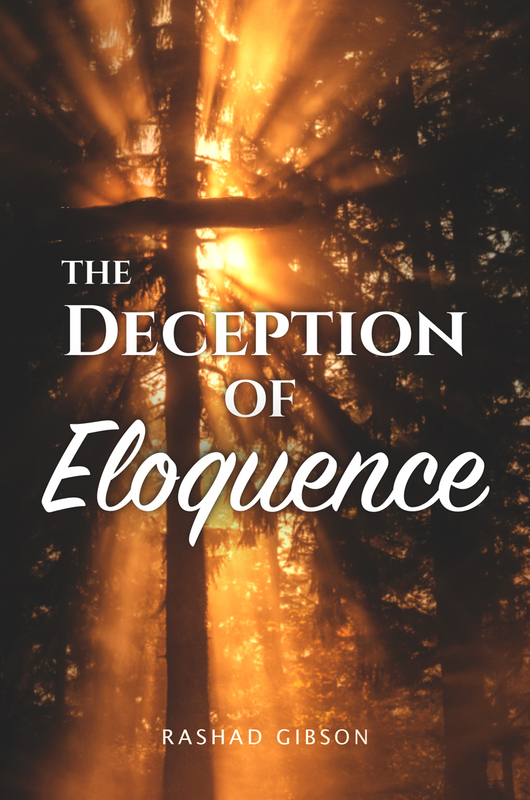 Rashad Gibson’s new Christian book release, The Deception of Eloquence will be soon available at Amazon, in Kindle and at other fine online bookstores. Rashad came to know the Lord on May 28, 2003. Before that day, he was living a completely immoral life. More specifically, that weekend previously was Memorial Day weekend in which he indulged in many immoral activities that included drinking, drug use, and etc. However, after the weekend concluded, that following Wednesday, he had awakened to an extreme conviction on how he was living his life. Throughout the day, he was pondering what was going on with himself and understood that he had to change his life. On his way home from work, he had burst out in tears because the conviction was so heavy. When he had reached the residence in which he was staying, he went to his room and prayed to the Lord to forgive him for how he was living. Then he slept. The following morning he woke up and the conviction was gone. In addition, later on that day, he went to a car wash to clean the inside of his vehicle out. While he was vacuuming the inside of his car, there was a woman that was staring at him. The woman waved her hand towards him, signaling him to walk towards her. When he arrived at the woman’s car, the first thing she said, “I didn’t call you over here to flirt with you. But God has told me to tell you that your prayers have been answered and you have been blessed.” Since that day, he has been following the Lord.